Water is a miracle drink that not only keeps you healthy but also helps in healing a lot of diseases. Water can heal a lot of infections that may affect young as well as old people. Drinking sufficient amount of water flushes out the toxins, thereby reducing infections. However, it is necessary that you drink purified water to avoid contacting water-borne diseases. With the availability of water purifiers online, it has become easy to select your preferred device without any hassles. Before making the final decision, compare the features, reviews and water purifier prices in India. In this blog, we discuss the different types of infections that can be healed by drinking water. Read on. Urinary tract or bladder infections are some of the reasons that lead to kidney infections. If bladder infection is caused by E.Coli, it is highly recommended to drink sufficient water. Water flushes out the bacteria present in the bladder, thereby combating infection. Drinking sufficient water also prevents accumulation of salts or minerals together and dilutes the urine. Frequently hydrating yourself is a great way to clean your kidneys and recover from kidney infections. However, the water that you drink should not be contaminated as it may worsen the situation. Water is one of the most powerful remedies to combat yeast infection. Though there are several cures for combating yeast infection, water remains the best remedy. Yeast feed on the sugar present in your body and lead to infections. When you drink sufficient water, sugar is flushed out from your body and greatly reduces the chances of your body being a host of yeast infections. Be sure to drink pure water that is free of toxins to avoid increasing yeast infections. Many of us may not be aware of the fact that water is great for healing asthma and other respiratory infections. Respiratory viral infections is quite common, especially when the weather changes. A person suffering from respiratory infection may experience rapid breathing, vomiting, diarrhea, which lead to water loss in the body. Drinking water in such conditions is very important as respiratory infections lead to dehydration. Water plays an important role in regulating your blood pressure. Water helps in thinning blood, thereby making it easy for your heart to pump blood. Dehydration makes blood acidic, which increases the LDL levels of cholesterol. Drinking water cleans the excess cholesterol build-up in your body and keeps blood way clean. Water can provide a lot of relief to people suffering from migraine headaches. Dehydration is the main trigger for migraine which is the reason why you need to stay well-hydrated. People suffering from migraine need to take special care to stay hydrated and ensure regular intake of water. 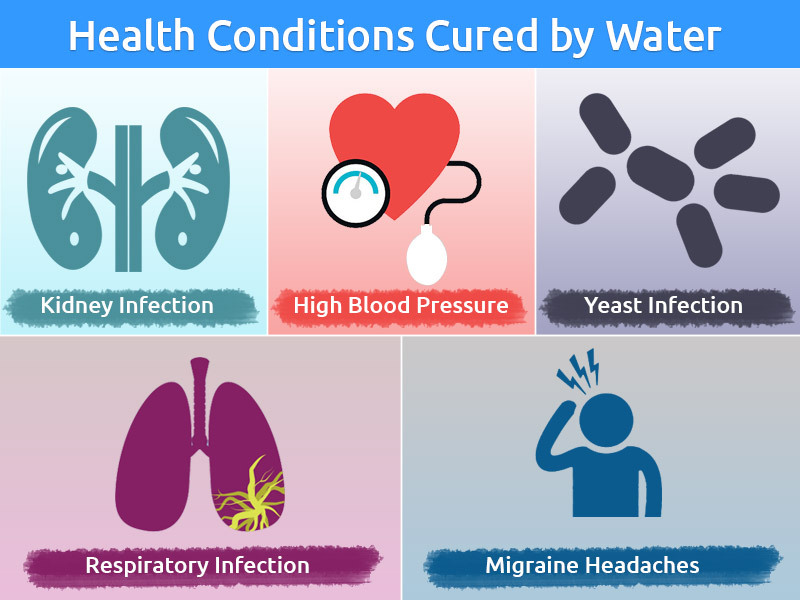 Those were some of the health problems that water can heal. However, drinking pure and clean water should be the priority to avoid water-borne diseases. RO water purifier from renowned brands such as KENT remove contaminants and make water suitable for consumption. 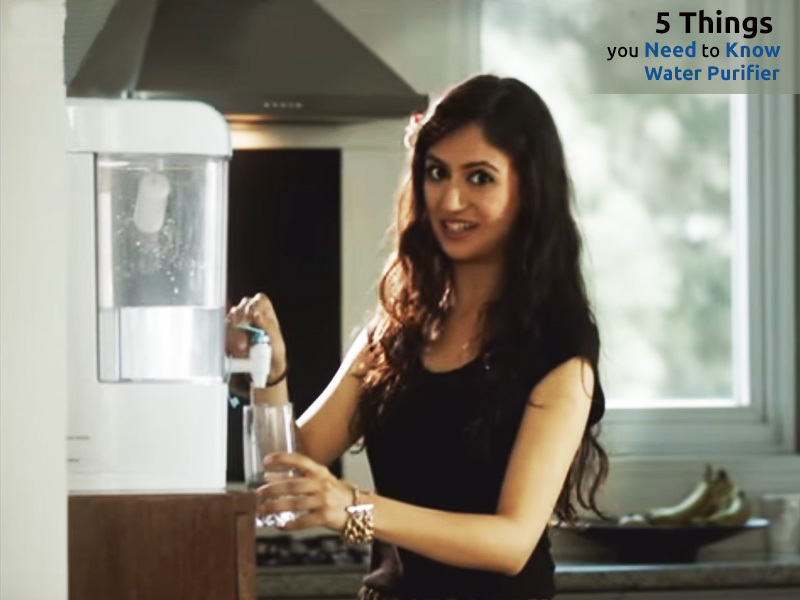 Find out more about the range of water purifiers and their prices in India.